Here you will find unique handmade jewelry. I am influenced by the simplicity of the Japanese style with an exotic twist. 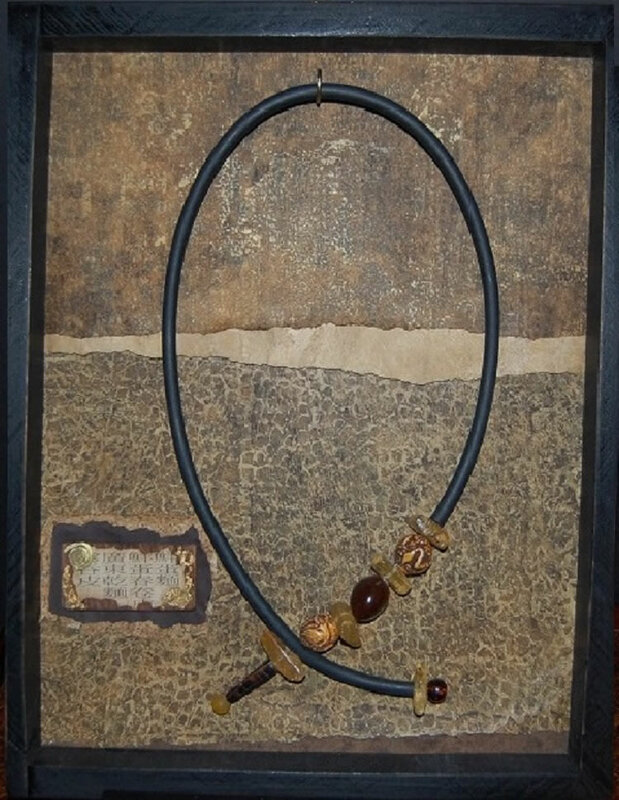 I try to recycle as much as possible and use mostly natural materials: waxed cotton cord, leather, rubber, carved bone and horn beads, antique hammered buttons as well as imported artifacts from Africa and China for interest. Each piece is handcrafted by me to be a unique and interesting piece of jewelry. #279 - African fish vertebra necklace. Fish vertebra, black glass beads, African trade beads with large black carved Asian disk. 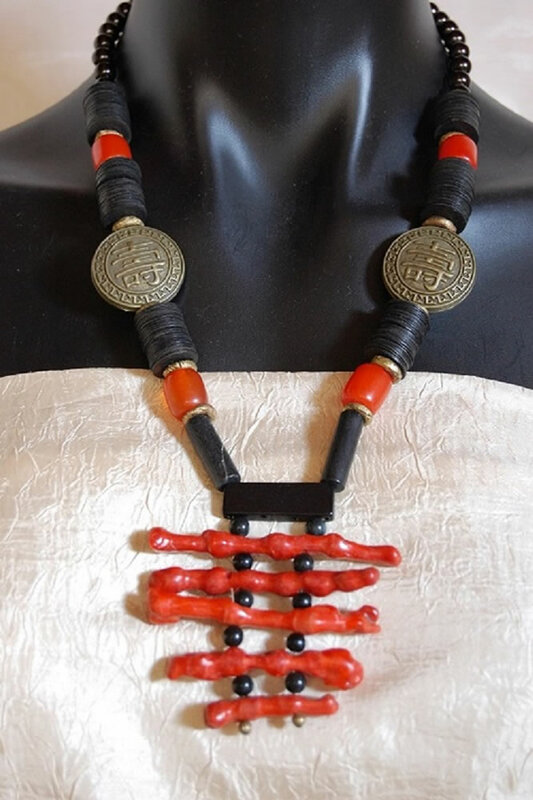 #261 - Orange repurposed coral horizontal beads ladder stacked with black glass beads, black vinyl disks from Nigeria, brass Asian disks and hand bent brass rings also from Nigeria. #340 - Hammered copper horizontal bar with strands of rough turquoise and copper beads for accent on copper chain. #1008 - Wearable Art. Asymmetrical necklace. Rough amber beads, large brown African seed bead, carved bone Asian beads, on black rubber cord. Framed in black frame with handmade paper and torn recycled paper back ground. Necklace is easily removable to wear.